Nearly every company wants to better understand their customers so they can find ways to improve the customer service and build brand loyalty. But actually finding the answers and putting them into practice are two different things. Transforming customer service isn’t a quick solution, but it can lead to fantastic results when done correctly. 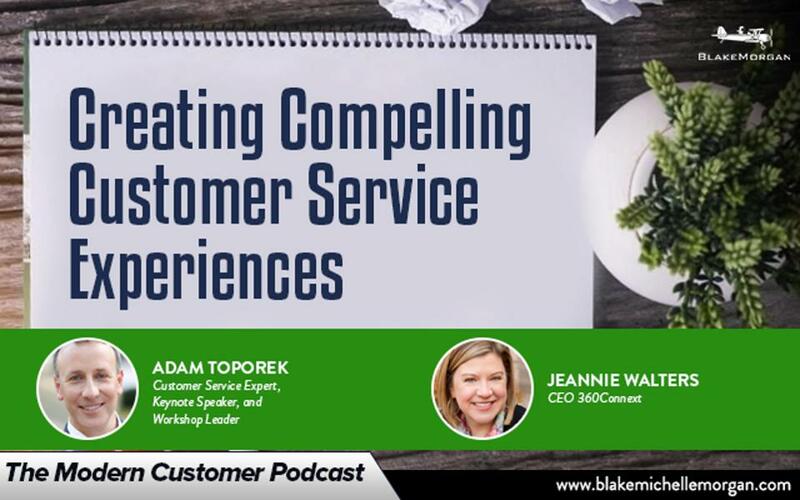 Customer service experts Jeannie Walters and Adam Toporek consult with numerous companies each year on how to improve their customer service. Their vast experience has taught them that improving customer service is never a one-step solution. Although each organization can follow the same steps, the journey to a quality customer service is personalized for each company. In order to truly make a change, the company has to identify what it wants to achieve. Everyone knows that customer service experience is good, but few companies actually know how it relates to their goals and strategies. One of the first steps companies need to take when redefining customer service experiences is to realize the business outcomes they want to achieve so they can connect specific aspects of the customer service experience to those goals. For example, if a company wants to build its referrals by a certain amount, it needs to focus on creating brand loyal customers who return and are eager to refer the company to their friends. That goal could tie into the post-sale aspects of customer service experience and following up to make sure each customer is satisfied. With goals in mind, brands need to understand what their current customer service experience is really like. Many companies think they have an idea of what customers experience and how they feel, but surveys can be deceiving. After all, the results a company gets are completely dependent on the questions it asks and can often paint a skewed picture. To accurately understand the customer journey, brands need to put themselves in their customers’ shoes. Jeannie notes that when she works with an organization, she completes a full customer service experience investigation, including observing how employees interact with customers, walking through the digital experience multiple times, and looking for holes in the experience that could affect customers. Getting immersed in the customer service at a human level can often provide more accurate feedback than looking at surveys. With an idea of the current situation, companies can then consider their ideal customer service—how would things look if everything went smoothly? That goal can help guide the next steps to take to make the dream a reality. Of course, perfect customer service can’t be created overnight and takes constant tweaking and evolution. Both Jeannie and Adam believe one of the most important parts of creating lasting change in customer service is to have leaders who understand the importance of customer service and who are on board with change. If leaders invested, even the grandest ideas can’t take root to create a lasting change. Customer service involves many different aspects, but one of the key features is understanding the customer and what they want out of the journey. Being strategic and working through the steps to transform customer service experience can lead to positive and lasting change.